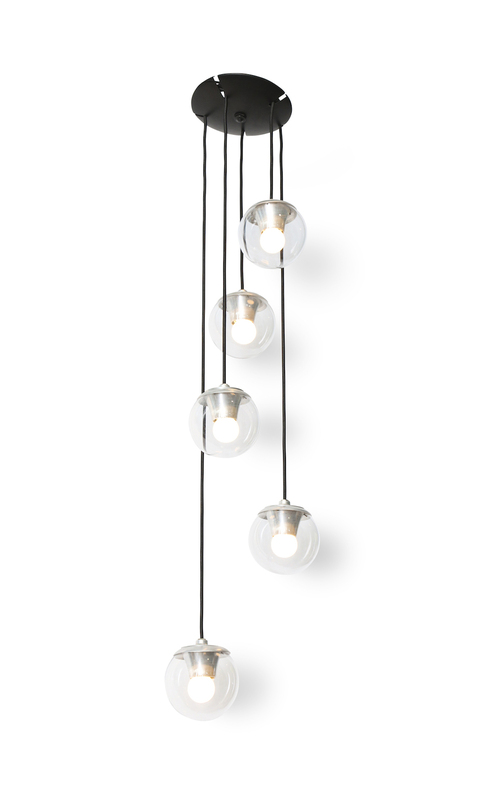 Cascading light with 5 glass globes hanging at different heights. 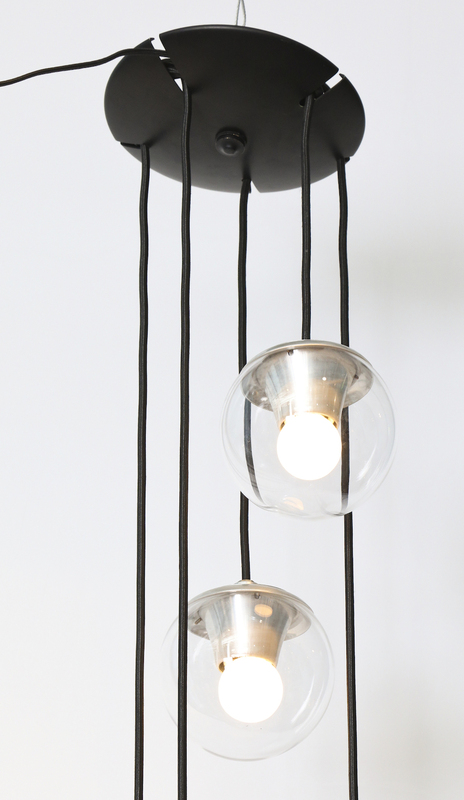 Each orb contains 1 Edison sized socket. A beautiful and rare Sarfatti design. Metal & glass have been cleaned. All wiring and sockets have been recently replaced.